Stan James is a British bookmaker established in 1973, and trades online under the name StanJames.com. The online company is based in Marina Bay, Gibraltar with the shops head office in Abingdon, Oxfordshire. 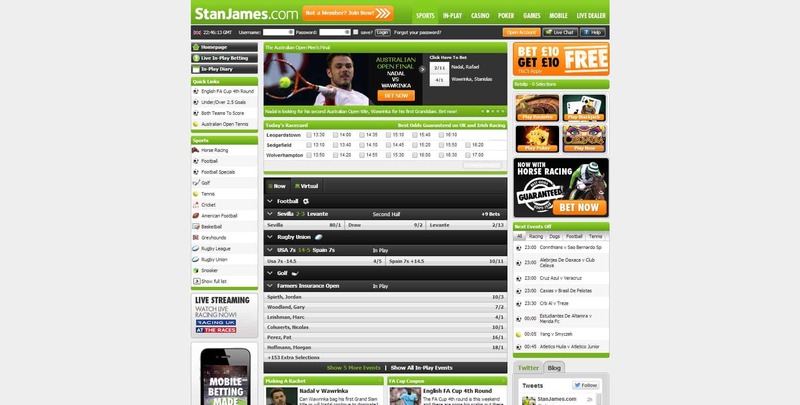 StanJames.com is the trading name of Stan James (Gibraltar) PLC which is a remote gambling operator offering online, mobile and telephone Sports Betting, Casino, Games and Poker, while Stan James (Abingdon) Limited operate over 90 betting shops across the UK.